During the Google Developer Day presentation at GDC 2018, currently taking place in San Francisco. 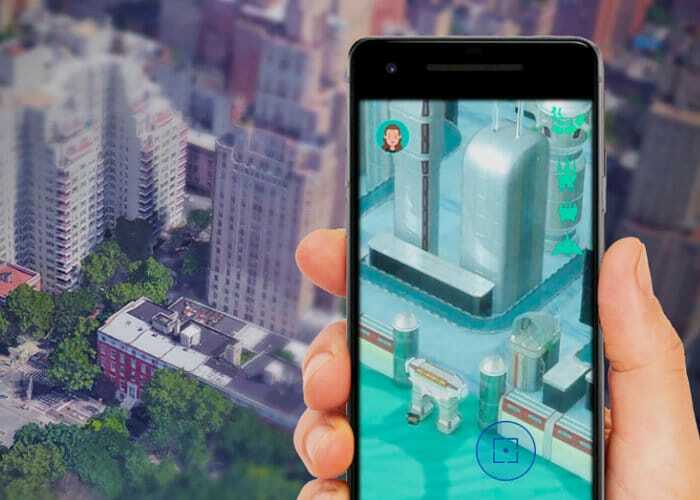 Google has announced they will soon be bringing their Maps API technology to developers, enabling the Maps API to be combined with ARCore to expand the mechanics and features of mobile games, and reduce development costs and timescales. Product Manager Clementine Jacoby and Engineering Lead Patrick Donelan at Google Maps Took to the stage to reveal the progress of getting the technology in the hands of developers, removing the need to build larger virtual worlds that can be time consuming and expensive to create. Opening up the Maps API to developers allows small teams to leverage vast, rich geodata resources offered by Google, for an easier and more affordable route to creating virtual worlds. Google has already built an SDK to bring the technology to Unity which “does all the heavy lifting” with “no Google Maps expertise needed to get started,”. Games you can expect to see using the new ARCore and Google Maps APIs technology during 2018 include, Jurassic World Alive, Ghostbusters World, and The Walking Dead: Our World check out the trailer below to learn more. Patrick Donelan demonstrated how developers can use Unity integration to transform an texture geometry of Google maps into stylised gaming elements using lighting and textures. “We use a vast array of Google Maps signals to determine the best places for gameplay and AR experiences ranked by prominence and popularity,” says Donelan. “You can request points at whatever density your game requires, and fine-tune the way those points are distributed.” For more information jump over to the official Google developers website.